With summer in full swing, progress on Missouri Southern’s newest addition is growing exponentially. 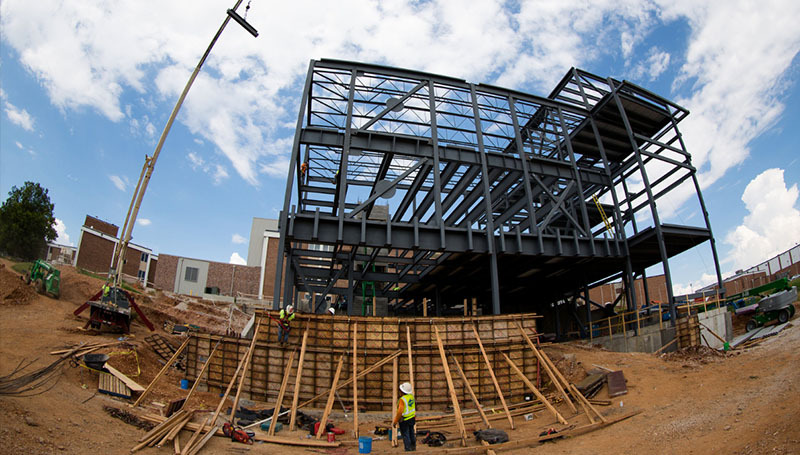 Since the groundbreaking in late November 2017, crews from Crossland Construction have completed most of the three-story building’s skeleton. The foundation work is complete, the concrete wall panels have been poured and floor panels are currently going down on all three levels. With most of the concrete work done, the main focus now is on finishing the retaining walls, backfilling the disturbed soil and closing in the building’s shell. Once the dirt work is completed, crews will move on to putting up the exterior framing. 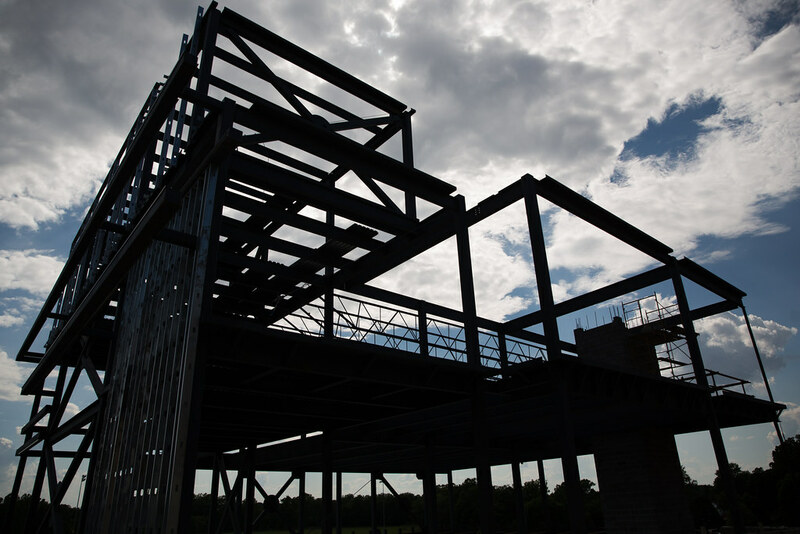 “Most of the steel assembly is complete and they have actually started framing in the exterior skin on the east side of the building,” said Bob Harrington, Southern’s Construction/Risk Manager. Upon completion of the exterior framing, the workers will move on to frame interior walls, install plumbing, HVAC and electrical items, and install interior finishes. Students and faculty can expect to see plenty of eye-catching and mathematically intriguing interior design features throughout the new addition. From the lighting to the flooring, intent was at the heart of design for Nixon Hall from the start. The two most exciting design elements, the three-story atrium and the skywalk, may also be the most functional. The skywalk is essentially a glass bridge from the second floor of Reynolds Hall to the third floor of Nixon Hall, making the trip back and forth more expedient for STEM students who are studying both math and science. The skywalk will provide plenty of natural light for students making their way from class to class. The atrium will serve a similar purpose but will be taller, extending all the way to the building’s third story, which will make the space feel more open and inviting. Harrington said that construction is right on schedule and the new building will be complete in time for the beginning of the Spring 2019 semester. “(Things are) going very well, and with all the steel going up it’s starting to really look like a building,” he said.